TRCK lost in translation or lost in transition ? According to OhMyNews*, translators are considering suing Lee Young-Jo, the new President of Korea's Truth and Reconciliation Commission**, for defamation. 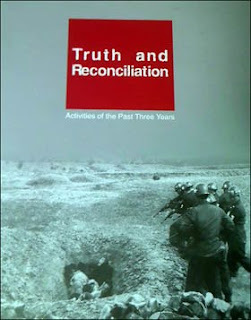 One of the first decisions of Lee Young-Jo was to ban the English brochure published by the TRCK in March 2009 to present its recent achievements ("Truth and Reconciliation - Activities of the Past Three Years") because "it is biased and the English is incorrect". Translators deny the charges and OhMyNews couldn't get any example of translation errors from the organization. Since I'm not a native English speaker, I cannot judge what's grammatically correct... but "the Park military junta introduced an extreme right-wing Fascist regime into Korean society during a time when the nation lacked thoughts, values, and awareness of democracy" may sound politically incorrect. I reckon the cover of the report featuring civilian massacres could also hurt the feelings of ultra-conservatives who would prefer to keep the lid on such inconvenient truths (not to mention the feelings of grieving families). Maybe Lee Young-Jo, a TRCK commissioner since 2005 and a fluent English speaker, saw the document under a different light after his nomination... I wouldn't dare imagining that his very nomination, under a conservative government, was part of a scheme to undermine the formidable achievements of the TRCK under his predecessors. Yet, several medias point out Mr Lee's own conservative credentials as an eminent leader of the New Right movement***, and a SisaIN article even evokes a possible sabotage of the organization, and past efforts from the New Right to revise history textbooks****. As we saw earlier, the TRCK did such a good job in performing its missions that it was politically impossible for ultra-conservatives to put an end to it. If their intention is to discreetly sabotage it, it is bound to backfire and at the end of the day, President Lee Myung-bak will have to make a choice : maintain the TRCK on its original tracks, or let the discredit and international uproar hurt his own image. => all posts related to TRCK. * "Translators upset by 'New Right Truth and Reconciliation Commission'" ("번역자들, '뉴라이트 진실화해위'에 뿔났다" - 20100113 updated 20100114). ** we mentioned his nomination last December in "Achievements and Tasks of TRCK's Activities". I'm not involved in the politics, nor do I want to be, but I will say that the documents I helped proofread was one of the best translations I've ever gotten. 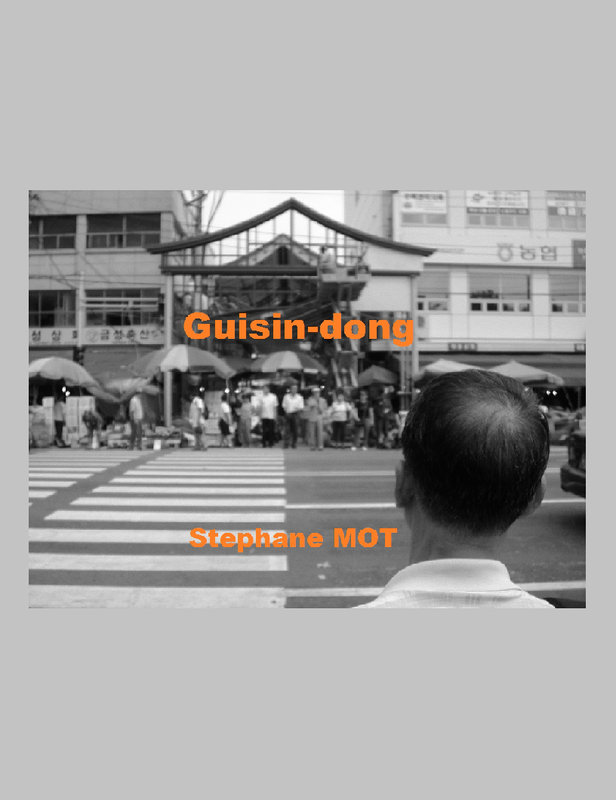 I don't know at what point in the proofreading process I was, although I suspect I was one of the final proofreaders, but as a professional proofreader and sometimes translator for the Korean National Commission for UNESCO, for five years, this was one of the most well written and fluidly expressed document I have ever come across in English. In fact, one of the things that occurred to me when reading this document was how easy the process was. There were very few major mistakes to correct, and it occurred to me that the level of correction required by me was no higher than that of proofreading and academic work written by a native speaker of English. I can't comment too much on the translation aspect of this job, however, claiming that the English was incorrect, or poorly written, is simply not true. The final document. that I saw was a professional piece of well-written academic English. One might disagree with his conclusions, or the content of the document itself, but it was not poorly written. In yesterday's Korea Times : "Forbidden Book Haunts Truth Commission"
According to Leigh Payne ("Banning of English Report on Findings"), Lee Young-jo doesn't seem to be consistent with his missions, and "we would expect the president of a truth commission investigating past authoritarian practices to use democratic processes and respect democratic freedoms." Ouch. One step beyond : "Truth commission sued for 'political censorship'"
"Power, justice and truth", the testimony of KIM Sung-soo. The former head of the international cooperation team of the Truth and Reconciliation Commission filed a lawsuit for defamation against the President of the TRC, who didn't seem very much into truth nor reconciliation.